The new grocery store, to be located at 3955 Forbes Ave., will carry organic and locally grown produce and will include a deli for freshly sliced meats and cheeses, a beverage section, dry and packaged foods, cereals and soups, as well as products from the existing Oakland Bakery & Market. In response to student demand for more fresh food options in the Oakland neighborhood, a new campus grocery store is set to open this coming summer. The grocery will carry organic and locally grown produce and will include a deli for freshly sliced meats and cheeses, a beverage section, dry and packaged foods, cereals and soups, as well as items from the Oakland Bakery & Market. Store hours and design are still being finalized, said Jim Earle, assistant vice chancellor for business at the University of Pittsburgh — but student needs are a central focal point in the process. This September, Bon Appétit listed Pitt as one of the seven healthiest college dining programs in the country, citing an impressive array of vegan options and farmers marketson campus each week from April to October. Learn more about the many options for healthy food on campus. Earle said that in conversations with student groups, the need for an on-campus grocery store became increasingly apparent, especially since last winter, when the IGA on Forbes Avenue closed. The new campus grocery store will occupy what was once a 7-Eleven at 3955 Forbes Ave., which is a University-owned building. 7-Eleven closed at the end of September, and to fill the convenience store void, Pitt’s nearby Quick Zone location in Litchfield Towers has expanded to 24-hour, seven-days-a-week service. It will now carry coffee and offer reduced prices on dozens of items such as cereal, milk, eggs, paper towels, Clif bars, peanut butter, waffles, ramen and pizza rolls. While the Oakland Bakery & Market on Fifth began carrying more fresh produce last semester, Earle said, “we really needed a larger space to do the grocery concept. “I think it’ll be a real draw. We’re looking to feel like a very welcoming and friendly neighborhood market,” he added. Among other plans for the store, the spot will have a community board advertising local farmers markets and other campus happenings. All forms of payment will be accepted including cash, card, Panther Funds and potentially Dining Dollars. In addition to full-time staff, the store will likely employ student workers, Earle said. Jaqueline Pines (BUS ’17) was one of the Pitt students who advocated for the upcoming grocery store. 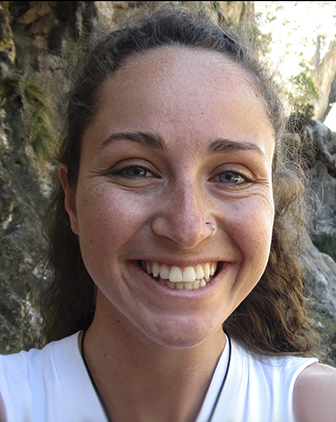 From a food sustainability standpoint, recent graduate Jaqueline Pines (BUS ’17) is excited. A permanent grocery store with fresh produce is a staple of any healthy neighborhood, she said. As part of a sustainability class taught by R. Ward Allebach in the Department of Geology and Environmental Science, Pines and her peers worked on a special project that included a proposal for an on-campus grocery store. She also worked as a sustainability intern for Sodexo, the University’s food service provider. “We felt that there was a gap in Oakland for accessibility to food, particularly for students but also for community members. For longevity, we wanted to have a partnership with the University,” she said. The bottom line, she said, is that students should not be shopping for fresh groceries at convenience stories. "It’s not sustainable” for long-term health, she added. Pines’ group later teamed up with Earle to offer input and help make a grocery store a reality. Students shouldn’t be afraid to see how far they can go with harvesting ideas, Pines said. “You can actually get a lot done by working with the University. This idea came from students, to benefit students, in the community we live in,” she added.